College Park, Md. – The University of Maryland (UMD) announced today it was awarded a competitive grant from the U.S. Department of Energy’s (DOE) Advanced Research Projects Agency – Energy (ARPA-E) to develop technology to deliver personalized, real-time travel information to users and incentivize energy-efficient travel. The funding includes $3.78 million from DOE and $700,000 in cash cost-sharing from various public and private sector partners. The UMD research team, led by National Transportation Center at Maryland (NTC@Maryland) Director and Associate Professor of Civil and Environmental Engineering, Dr. Lei Zhang, will use the funding to develop what is known as an Integrated, Personalized, Real-time Traveler Information and Incentive (iPretii) technology. 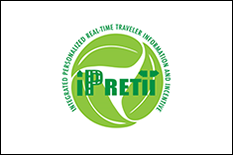 iPretii will use traveler behavior data to stimulate the effects of traveler choices on energy use in the Washington-Baltimore area. UMD researchers will conduct behavioral studies to predict travelers’ responses and identify incentives to encourage drivers to alter routes, departure times, and driving styles, or take mass transit or ride-sharing services. The technology contains a System Model that simulates travel behavior and traffic dynamic in real time, and a Control Architecture that designs and delivers personalized information and incentives to users so their collective behavior adjustments will result in significant system level benefits. Incentives will include both monetary and non-monetary awards, such as competitions and recognition given across social media channels. Each year, more than 25 percent of energy consumed in the United States is used for transportation purposes. Recognizing this, NTC@Maryland conducts extensive research on the effectiveness of both active traffic management systems – such as high occupancy vehicle lanes, freeway ramp metering, and dynamic lane control – and demand management strategies – including ride sharing, dynamic transit service, telecommuting, and pricing. The project team will develop iPretii within two years to quantify possible energy savings in the Baltimore-Washington region in a simulated environment. In that time, NTC@Maryland and its partners will also conduct field tests using instrumented vehicles to demonstrate iPretii readiness for real-world implementation. NTC@Maryland, has received more than $14 million in federal funding through open competition since its launch in October 2013. The center received the ARPA-E grant through the Traveler Response Architecture using Novel Signaling for Network Efficiency in Transportation (TRANSNET) program, established to develop new network control architectures, coupled with incentive strategies, to encourage individuals to travel in more energy-efficient ways. The National Transportation Center at the University of Maryland (NTC@Maryland) in the A. James Clark School of Engineering Department of Civil and Environmental Engineering is one of only five national centers funded by the U.S. Department of Transportation University Transportation Center program. Centered on the theme, “Strategic Transportation Policies, Investments and Decisions for Economic Competitiveness,” NTC@Maryland is concerned with the integrated operations and planning of all modes serving the nation’s passenger and freight transportation system, including the institutional issues associated with their management and investments. NTC@Maryland and the associated six National Transportation Center consortium universities are internationally known for outstanding transportation research, education and technology transfer programs in engineering, as well as for strong programs in related areas such as computer science, economics, urban studies, public policy, and management. More information is available online at http://ntc.umd.edu/.